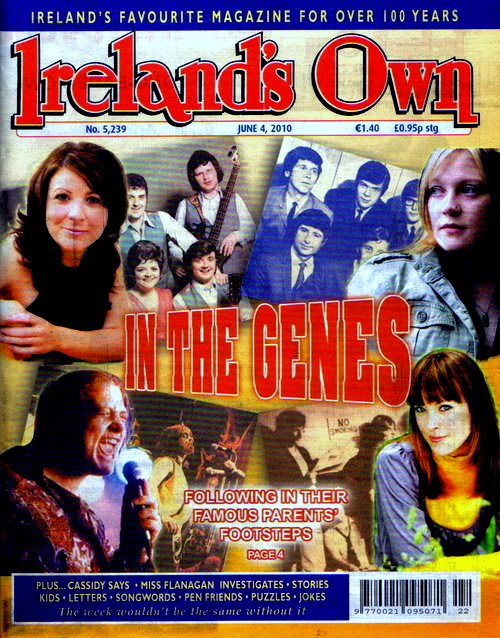 Its great to see Cork’s own Shane Supple featured in this edition of Irelands Own, where they take a look at the sons and daughters of singers form the 60’s. 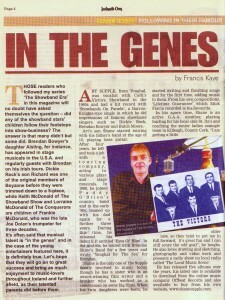 Shane of course was being linked to his dad Art Supple frontman with the Victors showband who had several songs in the Irish charts and were one of the top touring bands at the time. Suffice to say the baton has been passed from father to son and Shane has created his own niche in the music world with his songwriting skills and talent. This article is well written and includes some information of Aisling Bowyer, Richard Rock, Keith & Lorraine McDonald and of course our very own Shane Supple. At 16 Shane Supple a singer/songwriter from Youghal, County Cork in Southern Ireland started touring full time with his father’s band. At 20 Shane joined a touring company, acting in various stage plays and musicals, 1988 Shane signed up with Paddy O Brien and around this time started writing his own songs. In 1990 started touring again with his father Art. 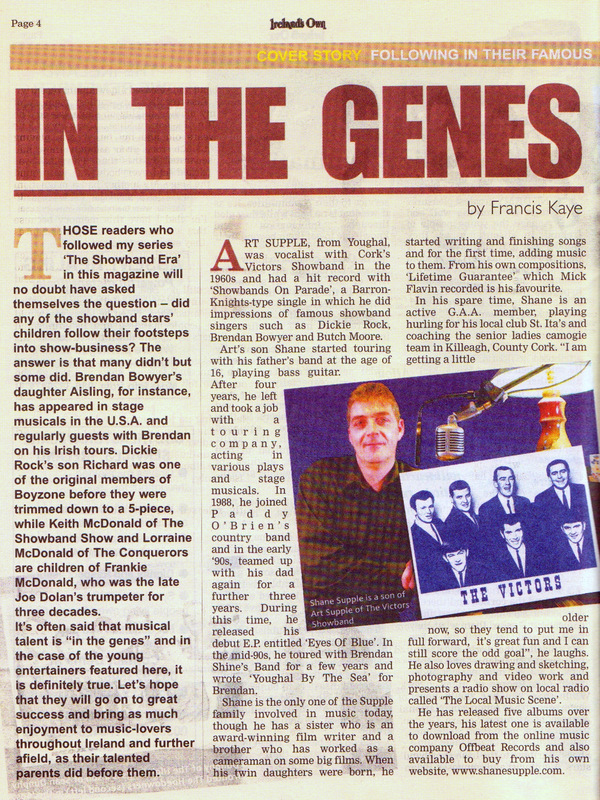 1992 Shane put together his first EP “Eyes of Blue”. Shane stayed with his father until 1993 then he joined up with Brendan Shine doing concert tours during these tours Shane wrote the song called “Youghal by the Sea. After a time Shane played with a local bands. 1996 Shane became involved in “Community Radio Youghal”. In Jan 1998 Shane won the Imokilly People Arts and Entertainment award. 2001 Shane wrote the song “Lifetime Guarantee”. Shane decided to send a copy to Paschal Mooney of Green Grass Music and a publishing contract was signed. Shortly after that another song “Here I am- where are you” was recorded & released by Kevin Prendergast. Art Supple also recorded “Dance the last Dance”. In 2004 Mick Flavin recorded “Lifetime Guarantee” on his album “Try it you’ll like It”. In 2005 Shane got word that another song “The Highway Song was receiving airplay in Taiwan. During the summer of 2006 Shane Also got word that his song “You’re so special” was getting radio play in New Zealand much to the delight and surprise of Shane. What makes you and your music unique? From the constant hours spent holding it close to my heart. Taken from the song “Lifetime Guarantee”. What’s your earliest memory of singing (or performing) to an audience? My earliest memory is of a school play in Dublin where we had to perform, The drummer boy and I was singing and playing a drum, I was about five at the time. Who is your musical hero/heroine/inspiration? What’s your heritage? Where born? 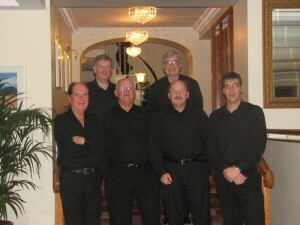 Dad was a professional with The Victors Showband – are your siblings/relatives musical? Are any involved in the arts? I am the only one of the family involved in music today. I have one sister who is a film writer who has won some major awards for her writing, one brother who has worked as a cameraman on some big films. I was the only one to go into the music business. Why and when did you start writing your own songs? Always dabbled about writing songs etc however the day my daughters were born that all changed and I started writing and finishing songs and for the first time adding music to them. It may be morbid but at that time I often wondered if I should die what could I leave my children that was me, so in writing I felt that if I did die they could have something to listen to and know what their father was about. I play bass guitar using a Fender precision bass guitar and Honer headless bass guitar, I also play keyboards using a Technics KN5000 keyboard, and I dabble a little on guitar using The Cort M200 electric guitar and a Tanglewood acoustic guitar. Personally, I don’t like the term ‘covers’. I do however like to hear interpretations of other writers’ songs. Do you perform anyone else’s compositions in your live show? If yes – which ones and why? If no – why not? I do perform other artists songs, Its based on many things if I like it or if its popular, One of my favourite songs is They Call me the Breeze by JJ Cale, others would include, The Gambler by Kenny Rogers, Vince Gills kindly keep it country, there are so many its hard to keep track. Are you recording some tracks these days? Tell us about your own favourite songs. What inspires you to write? I am always working on a new album or project, I guess for me one of my favourite songs would be Lifetime Guarantee which I wrote some years ago, followed by a song called Your so special which I wrote one evening after watching the 6oclock news, It was a story about Adi Roche and how much she was doing for children at that time, I wrote it and intended to pass it along to her to use for some charity raising album, but when it was finished and recorded I decided that at that time many artists were doing work for charity and all for the wrong reasons and this felt a little more personal to me and didn’t think it would be good enough. Normally I write about things I see I could be walking down the street and a phrase or something I see will come to me so I rush home and start writing. Where have you performed live? I have performed live in many places around the world, Russia, Poland, Germany, England and Ireland but have stopped touring these days to spend more time with my family. Tell us about your band or do you perform solo? All depends on what is required, sometimes I perform alone other times with a band or group. 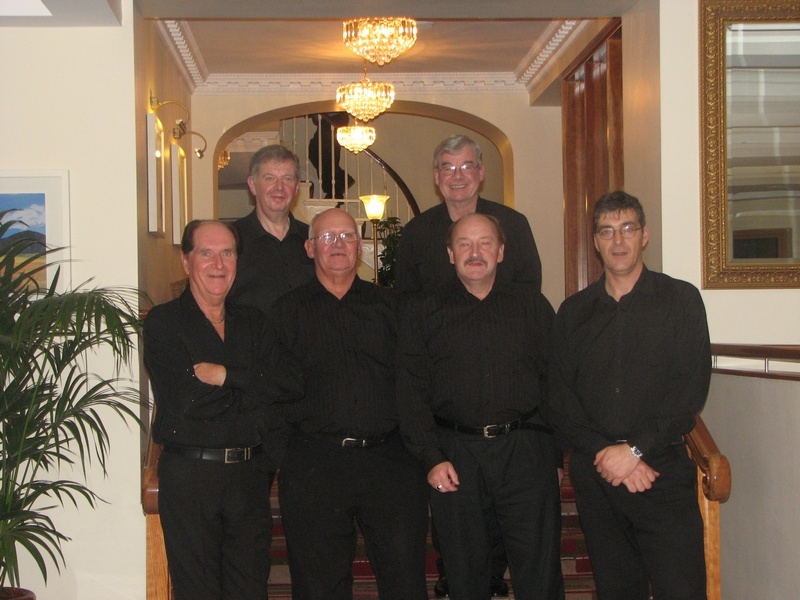 I do perform from time to time with my father’s band which is great fun and the lads are all excellent musicians who I learn from all the time. Tell us about your best-ever live gig. It was live at an Irish festival in London, I was with my fathers band at the time but for this one song he had left the stage and there was just me on bass guitar and vocals, the drummer Kieran McCarthy and guitar player Bobby Lee on stage playing to about 25,000 people and it was such a buzz singing and playing that one song Whiskey in the Jar by Thin Lizzy. Are you working in a ‘day-job’? Did anything unforeseen ever happen while you were performing live? Where do I start, there were many strange things that have happened over the years some while I was working on stage, some funny and some not so funny but I don’t think I can print any of them here. Vince Gill, Mary Duff, Trudi Lalor, my good friend Paddy O Brien but for me to top it off would be a duet with my sister which we are planning for the near future. How do you like to spend your free time? Hobbies? Interests outside of music? I coach the senior ladies Camogie team in Killeagh which is great, their fantastic hard working bunch of girls involved including many Cork players. But for me I love playing hurling with my own club St Itas just outside Youghal. I am getting a little older now, so they tend to put me in full forward, its great fun and I can still score the odd goal. I also love drawing and sketching, photography and video work. I do a radio show on local radio called The local Music Scene where I have guests from many unsigned artists bands etc every week. Been doing that show as a hobby for almost 17 years now. Do you have a motto or a favourite phrase that you live your life by? Be honest with yourself and those around you. Always give 100 percent and most of all enjoy it.
. . . and your greatest moment? What are your immediate musical ambitions? Write a hit song, I guess it’s any songwriters dream so I am no different then others when it comes to that. Write a hit song and have it recorded by some big international star, all going well I will achieve that soon as there are talks ongoing with one of the legends of the Music world to record Lifetime Guarantee on his next album. Do you intend to issue CDs or to take the downloads route with your songs? Have you had a radio play yet? A TV appearance? Have you entered any competitions? I have had lots of radio play with the last album which had some original songs and some covers all done in a country blues style. No TV appearances on my own but many down through the years with other bands I have worked with, Paddy O Brien & Art Supple to mention just two, I never entered any competitions, too many talented people out there. Have any of your songs been recorded by other performers? Yes Mick Flavin recorded Lifetime Guarantee, Kevin Prendergast recorded Here I Am and of course my dad has recorded a few down through the years. A local rock group recorded a song called Freedom and a few other local bands have recorded some of my music as well. Has your style been compared to any well-known artiste? No not that I am aware of, a Hot press review I got about 10 years ago said I was a very good cabaret singer lol what ever that meant. I try to sing in my own style which is nothing unusual or special. What songs can our readers listen to on the internet and where exactly (links)?